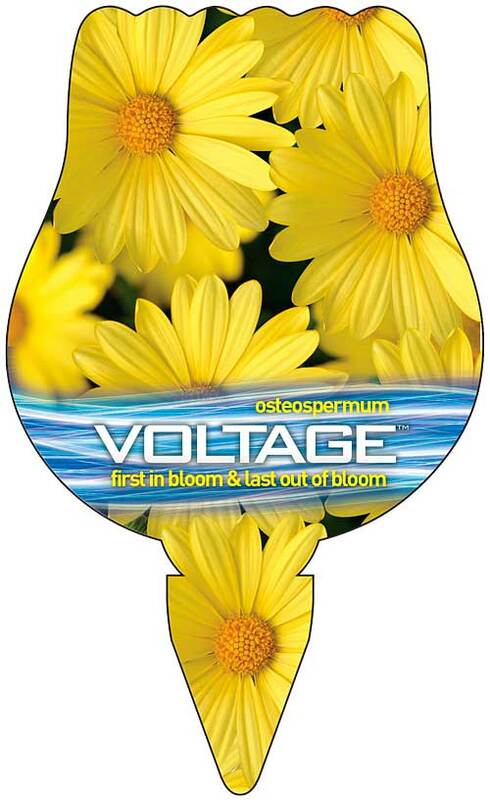 Osteospermum Voltage Yellow – the FIRST Osteo in bloom and the last out of bloom! When gardeners are craving bright colour, Osteospermum ‘Voltage Yellow’ with its unique clear yellow colour, will catch their attention. It features very flexible stems with high impact colour and is a variety that offers excellent branching and naturally full, compact plants. The low, spreading habit of Osteospermum ‘Voltage Yellow’ makes it ideal for landscapes and will create a blanket of vibrant colour in any garden-scape. Also well suited for containers and hanging baskets. 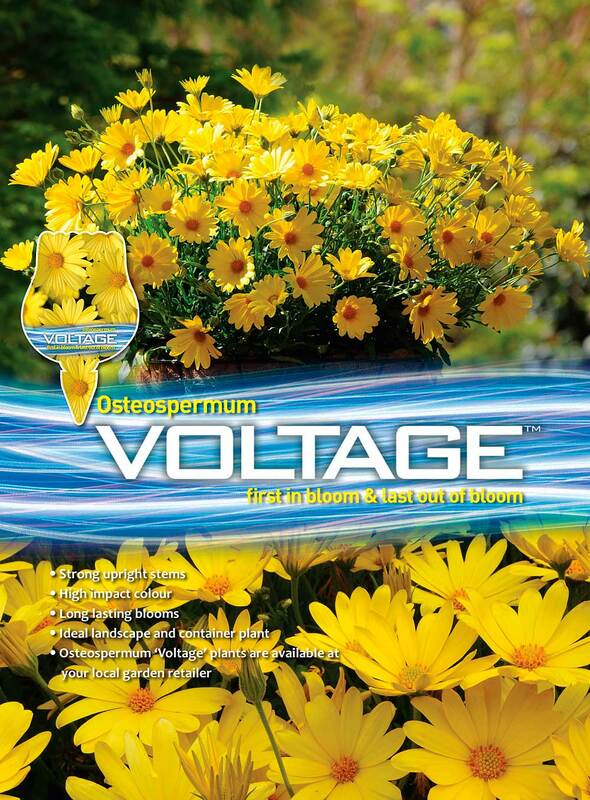 Osteospermum ‘Voltage’ is available at all good garden centres.